We’re always looking for those nuggets of information that give us insight into the future direction of an economy. Often the more traditional measures are too little, too late. 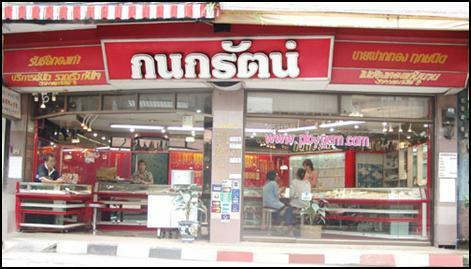 If you’ve worked in Thailand then you may have heard about the Mama Noodle Index. This states that as the economy declines sales of instant noodles increase exponentially, as people cut back on eating out & discretionary spending on food. Now we have another equally unusual but maybe very telling index. Gold shop robberies. Especially up country, traffic and turnover through gold shops is a useful economic barometer. Unfortunately in recent months, most of that traffic have been people looking to purchase on the “5 finger discount”.